The City by the Bay was actually settled on a military post that was established in 1776 for the Spanish Viceroy in Mexico City. Shortly thereafter, it also became the site of Mission Dolores. In 1835, there was a tiny settlement of tents that was founded as the town of Yerba Buena, a shipping port of call that was distinct from the mission and military outpost. 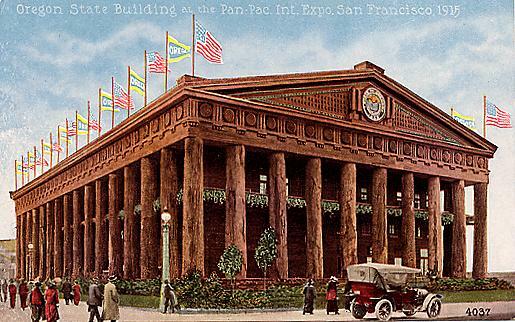 In 1847, President Polk declared war on Mexico and issued a decree renaming the new American town San Francisco. A year later, gold was discovered 120 miles away at Sutter’s Mill and San Francisco grew almost overnight. 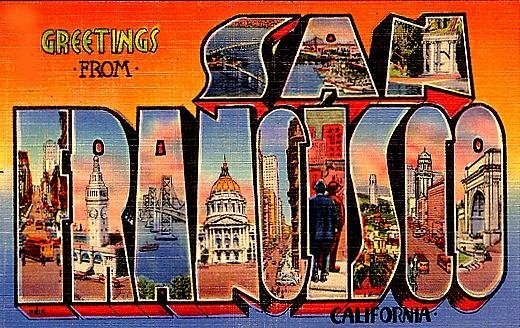 In 1850, California became a state and San Francisco boasted a population of over 20,000 people. 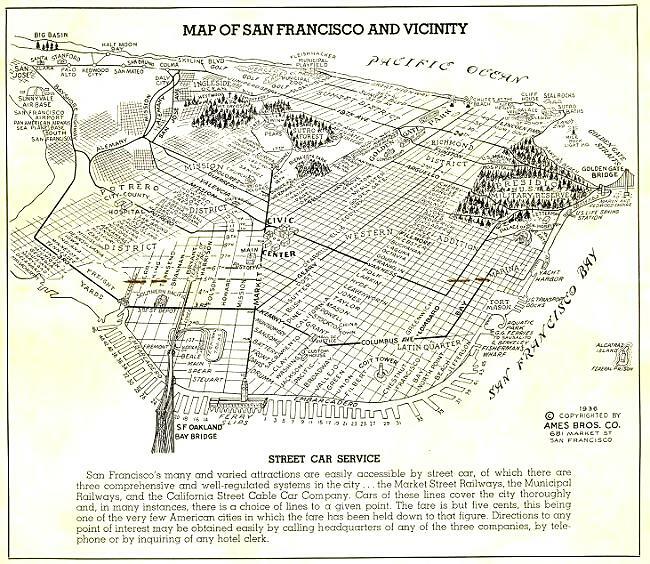 With its growing population and the expansion of the city beyond the flatlands to the many hills that surrounded them, it was time for public transportation to move the people and their goods. The city’s first horse-drawn omnibus began operation in 1852. 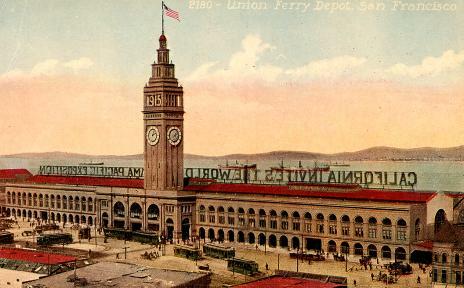 You could ride for 50 cents on weekdays and $I on Sundays from the Post Office at Clay and Kearney to Mission Dolores. Soon there were many other lines and the fares were reduced to ten cents. However, the horses were unwilling to tackle the steep grades of the hills that rose up around the bustling center of commerce. It was time for the Cable Car. Andrew Smith Hallidie, who had come to California from England in 1882 to mine the gold fields, built a 200-foot wire suspension bridge. Soon after that he made a wire rope making machine that produced an “endless ropeway” that was used to pull ore-filled cars up a track from the mines. 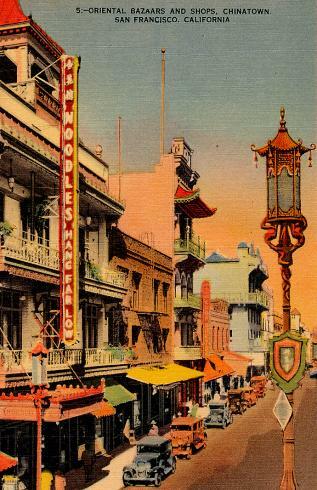 Hallidie moved his wire rope manufacturing plant to San Francisco. On a wet, drizzly day in 1869, while he was riding in the streetcar on the omnibus line, one of the horses slipped and the car slid backward, dragging the horse with it. 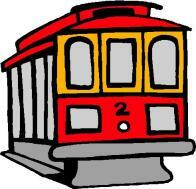 That accident set the wheels in motion that led to the first cable car being operated up the steep hill on August 1, 1873. 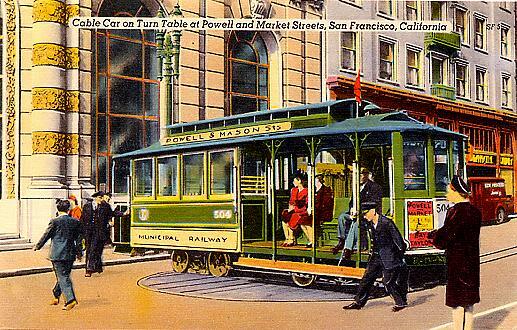 Muni Cable Car Turn Table at Powell and Market Streets. San Francisco’s famous Chinatown district is the largest such district in North America. 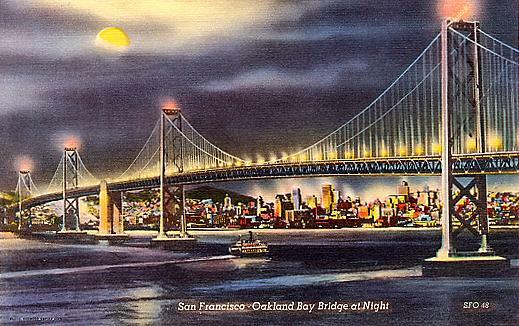 Nighttime view of the Oakland Bay Bridge. 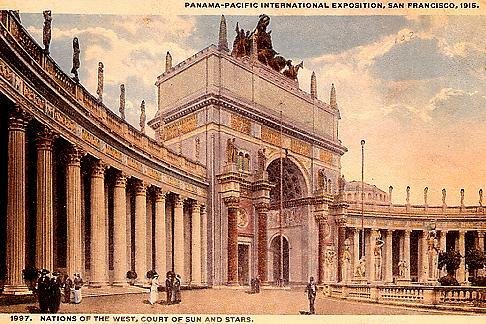 As the sign on the Union Ferry Depot says, “California Invites the World to the Panama Pacific International Exposition” in 1915. Oregon’s State Building resembled the Parthenon with columns made from trees. South view of the Horticultural Building at the PPIE. Court of Sun and Stars at the Nations of the West Exhibit. 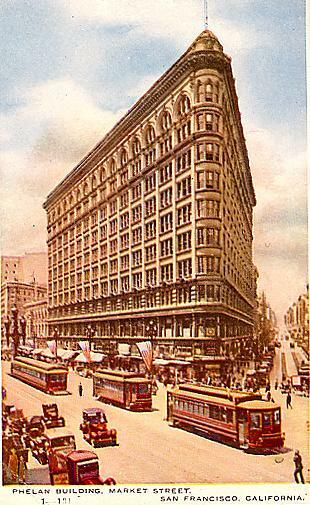 Streetcars flank the three-sided Phelan Building. 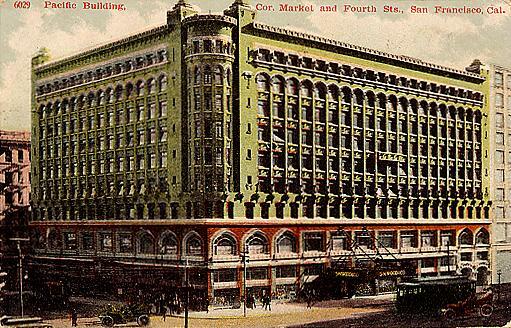 The ornate Pacific Building is located at Market and Fourth Streets when it housed the Emporium Department Store. Here is San Francisco’s beach with the Cliff House and Seal Rocks in the background. 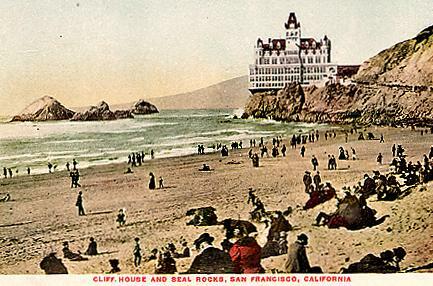 Cliff House survived several fires and the building was subsequently rebuilt. The first Cliff House was built in 1858 by Samuel Brannan for $1500 which was used to purchase scrap lumber from a smashed ship. 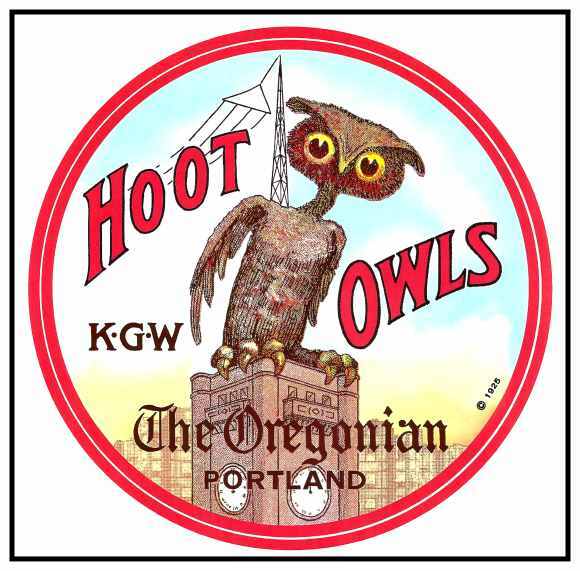 Two wings were added in 1864 and an explosion from a crashed schooner below, which was carrying dynamite cargo, blew off the north wing in 1887. 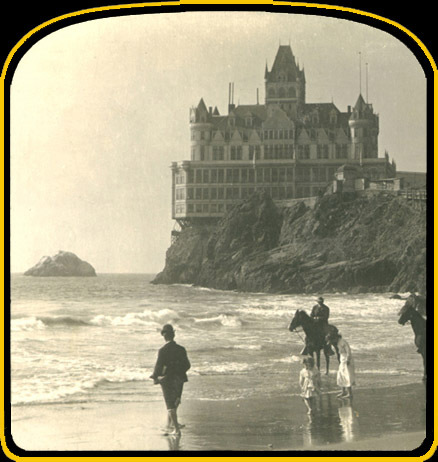 In the mid 1890's, Adolph Sutro, who later became mayor of San Francisco, rebuilt the Cliff House into an elegant 7-story edifice and opened it with much acclaim. He would later see it burn to the ground on September 7, 1907. 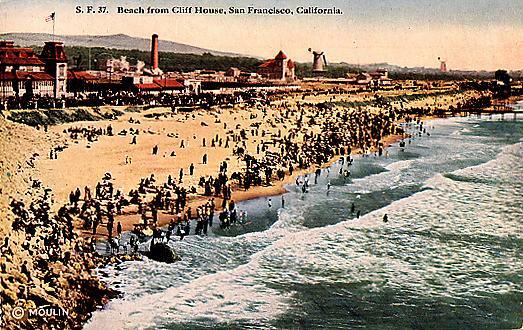 Sutro's daughter Emma oversaw the construction of another Cliff House in 1909. 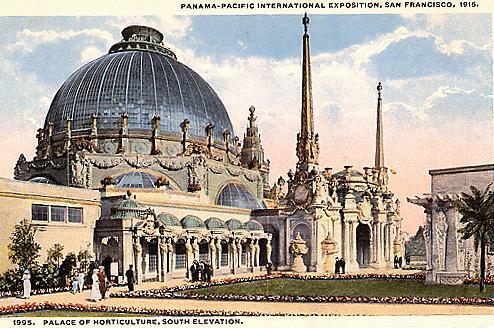 Hard times through World War I and the Great Depression would keep the Cliff House closed until George Whitney, who owned nearby Playland-At-The-Beach, purchased and remodelled the Cliff House in the 1930's. 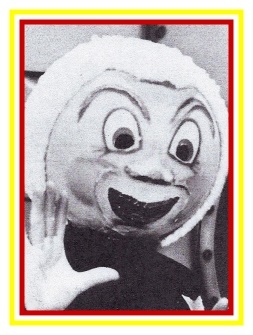 Another Grand Opening was held on August 5, 1937. Another remodel and the 5th Cliff House held another Grand Opening in 1950. 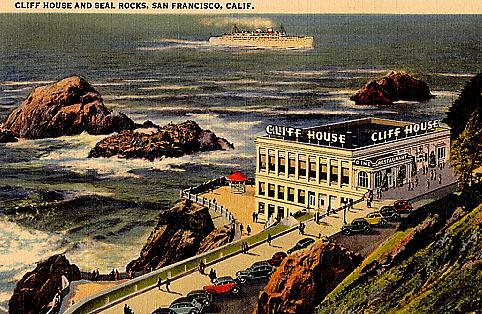 The Cliff House closed after Labor Day 2002 and it is slated for partial demolition. San Francisco’s Beach as seen from the Cliff House where you can see the Playland Amusement Park in the background.